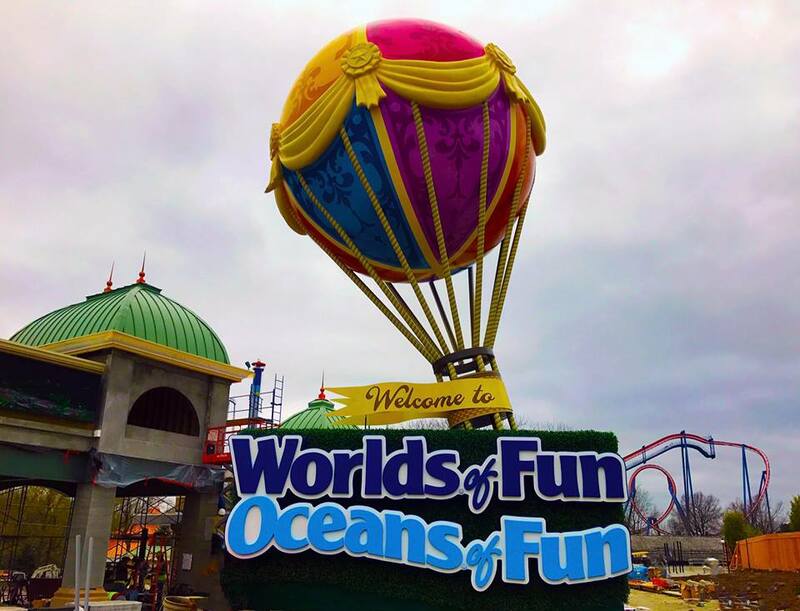 Worlds of Fun unveiled their new icon balloon today. The new balloon graces the new entrance plaza that has been completely redone for the new season. You can see in the background the turnstiles building continues to get finishing touches put on it.